When I became a mother to my first set of twins, I truly knew nothing. I was blessed to have an extremely healthy pregnancy. I went to 38 weeks and had an amazing 8 lb 7 oz boy and incredible 7 lb 10 oz baby girl. I knew they needed to sleep, to eat and to be changed but I had no idea how complicated it could be to bring two babies home. I remember waking up (as if I had ever fallen asleep) the morning after bringing my babies home from the hospital and thinking I had just gotten myself in to the first challenge I was unsure that I could succeed in. I was a bit terrified at how we’d fall into a routine, if I would ever sleep again or heck, if I would even make it through the next 24 hours. Being a mother of twins came with so many blessings. Two smiling babies, two to cuddle, two to hug but it also came with a double workload that I hadn’t quite prepared myself for. Within the first two weeks of bringing my babies home and trying to figure out this parenting thing, I decided that if I made it out of this newborn stage semi-sane, I would change career paths and somehow become involved in the support of new parents or bringing babies into this world. My days were spent caring for my babies, figuring out a sleeping and eating schedule, reading articles and blog posts on the care of twins and what I could expect next. 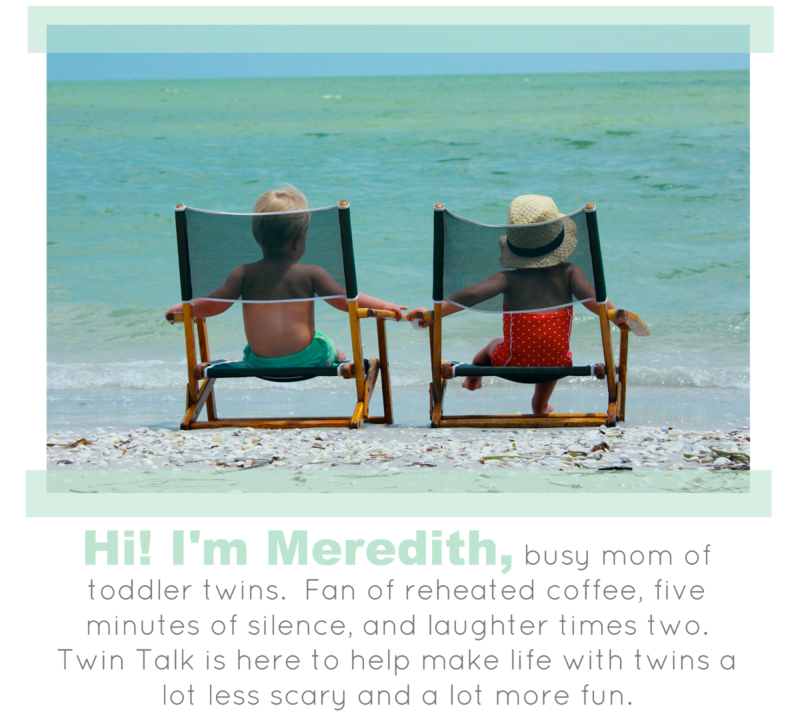 I followed twin support groups and although I didn’t participate much, I read everything these mothers were saying, trying to absorb any and all information I could. It was winter so I didn’t venture out much; I hunkered down and committed myself to truly learning all about my babies and their needs, as I was determined to flourish as a mother. In my “spare” time (is there spare time with newborns?) I did research as to how I could easily transition from a career in corporate retail to some sort of “birth work.” As with many twin pregnancies, I had countless ultrasounds and could remember the pure joy of seeing my babies each and every time, knowing they were healthy, knowing they were growing and I thought that perhaps this was were I would go in my professional career next. I looked into programs and realistically thought I could begin schooling the following fall semester. With a semi-concrete professional plan in place and my babies (and I) thriving at home I felt good about all the next steps in my family’s lives. And then a little less than 7 months postpartum, my husband and I learned we were expecting again. As I did the math, I had no idea how I would care for 15 month old twins and a newborn. I had worked so hard to learn how to care for these babies that I was unsure how a new baby would play into the mix. The dust settled and I thought, “I’ve cared for twin newborns, one will be a piece of cake!” (which of course, any mother of a singleton will tell you is not the case) but it helped me focus on the positive and become excited about this pregnancy. A few weeks later we had our first visit to the OB-GYN and learned what I thought was the impossible, we were once again expecting twins. I cried. For almost two weeks. I was overcome with a range of emotions. The first time I learned we were having twins I had feelings of only excitement, this time, I was anxious, scared, confused as to how I would be able to meet the demands of four babies. And then, one day, I felt peace. I’m not sure the exact moment my fears turned into excitement or exactly how I transitioned from a state of pure shock and panic to having an understanding that this was all part of my plan and purpose but it did happen. I looked at the future with optimism and was no longer scared about being able to meet all four babies needs but knew that having my second set of twins was a blessing, not only literally as any time a new life is created it should be considered a blessing, but it also helped clear up any reservations I'd had about wanting to turn my passion of being a mother into a profession. When my “littles” (as we affectionately refer to them) were born I expected the same ups and downs as I had had with our “bigs.” Sleepless nights, confusion surrounding eating and scheduling, chaos with having four babies to tend to but I was surprised to find the opposite. The biggest difference between bringing the “bigs” home and then bringing the “littles” home was I had perspective and knowledge on how to care for our babies. Of course, all babies are different and needs will vary dependent on each individual child but overall having the understanding of how to care for multiples from my first go round truly enabled me to (almost) seamlessly transition to life with two sets of twins. My babies are now 4 and 3. 4 and 3, I still cannot believe that time passed so quickly and my babies aren’t really babies anymore. There were days (and nights) I never thought we’d make it this far. Parenting multiples can be a rollercoaster ride. So, so, so many highs and with, unfortunately, a few lows sprinkled in. Through it I’ve learned that the best way to enjoy, thrive and truly LOVE being a mother of multiples is knowledge, resources and the connection of having another person who’s been on a similar journey. For me, being a mother of multiples, has not only been the biggest blessing in the sense that I have four amazingly wonderful children in my life but it also has given me the opportunity to truly help and walk with other families going through these stages to ensure they are the most amazing moments in their lives as well. holy cow...my boys are 18 months and just thinking about having another set of twins makes me start to sweat...let alone then being only 15 mo apart! You are one outstanding mommy! Every time I see your pictures or read your words I shake my head in wonderment! Super Mama!